When it comes to taking pictures while on vacation, all I really want is for it to be easy, quick and convenient. I don’t want to carry around heavy, bulky bags full of equipment that I have to fiddle with each time I want to take a picture (I like to travel light), and I don’t want to stress out that the photos won’t turn out well. I’ve already come to terms with the fact that I’m not a “photographer”. So instead of pretending to be, I’ve decided that what I really want is a camera that can be a photographer for me. Do you feel this way too? 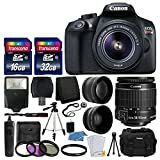 If so, then you’ve come to the right place for help finding the best budget camera for travelling, I’m not going to cover the typical photographer cameras with huge lenses and more buttons than can possibly be useful on one small device. 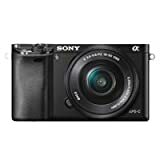 I’m going to show you the best travel cameras that are great for the non-photographers out there, like myself, who just want to easily take a good photo and not have it cost a fortune to do so. ⇒ See all of our travel gear reviews. Need a few photography tips to help perfect your travel photos? I don’t know about you, but I love the ease of purchasing on Amazon, so I set up our guide right in an Amazon viewing window to make it easy for you to click to read reviews or check out pricing for the various styles of garment bags we’ve chosen as our top picks. If for any reason you don’t love the camera you choose, you can return it and try a different one. There are a few criteria you should consider when buying a new digital camera, especially a budget camera. You want it to be sturdy (everyone drops things), reliable, well-built and with as many features as you can afford. I’m not talking about the features that get loaded into bigger cameras that no one ever uses. I’m talking about things you really can’t live without, like a laser focus, auto functions, a large zoom, high megapixels, a viewfinder, wifi, great battery life, a digital card reader, etc. Most top-of-the-line cameras come with these things naturally, but we’re looking for a great budget camera, so you have to be picky in order to get the things you want. We always suggest you go with the best camera brand you can afford. When it comes to cameras, you can find smaller brands that are quite affordable, but they often don’t have the quality standards that you need in a camera. You really don’t want to have to replace it in a year or two. You want it to be build to last. The best thing the large brands give you is piece of mind that they have been tried and tested by many people and are reliable. Whether you’re looking for a budget DSLR manual camera to improve your travel photography, or you’re wanting to find a good small camera that still takes great photo, you need to spend a little time comparing the features. Our top requirements for features include a high megapixel, good zoom capability, wifi, and a viewfinder. I also prefer the camera to have some good auto modes, including panorama and night shot. I prefer a small camera, so I don’t have to lug around heavy equipment, but maybe you don’t mind carrying around a large camera. Know what you’re really comfortable carrying before you purchase. All cameras need good protective cases when travelling, which adds size and bulk. Also keep in mind weight, because carrying a heavy camera around your neck all day while travelling can be painful and case neck and back issues. Prices vary depending on which type of camera you’re looking for. You can find a good point and shoot camera under $200, but a decent budget DSLR is going to cost quite a bit more. Know what you’re willing to spend. The best travel cameras for non-photographers come in small packages. If you want it to be as convenient as possible to pull your camera out of your pocket and take a picture, then a point and shoot camera is the way to go. Not only is it the smallest digital camera you can buy, it’s also compact and easy to use. You want to look for a point and shoot camera with a viewfinder and wifi, which will give you the most flexibility and power, in a small package. There are a lot of digital point and shoot cameras on the market today, but a few shine above the rest. See our point and shoot camera reviews for 2017 below. These are updated as new ones come on the market that beat the competition. The Canon PowerShot ELPH has been a top digital camera model for a long time. They’ve perfected this small camera over the years. The ELPH 190 is a pretty powerful camera for the price. It has a memory card slot so you can take more photos without running out of space. It has wifi, so you can easily transfer your photos without a cable. The 10x zoom will come in handy for travel, because you often came get up as close to the things you want to photograph, but with this camera you can comfortably zoom in without looking image quality. There’s also an image stabilizer on this camera to reduce the possibility of motion ruining your photos. This camera has a lot of auto shoot modes, including the ever-exciting fish-eye mode that everyone uses all the time. One a more serious note, it does have a smart auto mode that detects the situation and uses the proper mode from 32 predefined shooting situations. There are many different models of Sony point and shoot cameras. The DSC 830 is a 20.1 megapixel camera, and it’s only around $100. For a Sony point and shoot in this price range, it’s a pretty good competitor. The DSC 350 has a more powerful zoom, better quality video and a better sensor, but it’s also twice as expensive. This camera comes with an 8x optical zoom. It also has a professional-grade Carl Zeiss lens with Optical SteadyShot image stabilization, so your images won’t come out blurry all the time. The camera has camera effects built in for adding some flair to your photos. You can edit and crop straight from the camera. It’s a great budget camera for travelers. If you lose it, you probably won’t cry as much as if you lost your $500 camera and lens. Larger than a a point and shoot, but still smaller than a DSLR camera is the typical digital camera. Non photographers like digital cameras because they offer the ability to shoot in auto mode, but also include some manual adjustments. They don’t allow for the changing of lenses, and they often include a really good zoom. They are, of course, quite a bit bulkier than the typical point and shoot camera, so weight and size are definitely something to be aware of. The Nikon Coolpix B500 has a 40x optical zoom (up to 80x digital zoom) with the telephoto lens that has a vibration reduction feature to cut down the shakiness that happens when you’ve zoomed out that far. If you think you’ll find yourself in many situations where you’ll need to zoom in, this is the camera for you. It’s loaded with 16 scene modes to match the situation and also has a scene auto-selector. Two other big benefits of this camera are the low-light sensor and ability to shoot video in 1080p Full HD. Nikon has a Snapbridge app that allows you to pair the camera with a smartphone to easily transfer photos. This is helpful if you want to post your images immediately to Facebook or Instagram. You can also use the app to control your camera remotely, so you don’t need a dreaded selfie-stick. I’m not sure there’s anything this camera isn’t capable of. It has everything we look for in a camera, from wifi to great image quality, great zoom capability, a viewfinder, etc. It has a high-sensitivity CMOS sensor and the DIGIC 4+ image processor, which is camera mumbo-jumbo to say that it takes great, stable pictures, even in low-light situations. The camera will automatically choose the best stabilization mode to suit the situation, so you don’t have to worry about blurry photos. If you’re taking video with the camera, there’s 1080p full HD video. And of course, there’s wifi so you can connect the camera to a smartphone to transfer images with Canon’s app. The app is extremely easy to use, and it even opens automatically on your phone when you push the NFC (near field communication) button on the camera. Another thing we really like about the Canon Powershot is the look and feel. It has a sturdy body that doesn’t feel cheap. It has a good ergonomic grip so it doesn’t feel like you might drop it at any moment. These are really good qualities of a budget camera. On this camera, you can make manual adjustments to the settings, if you wish. You can change the aperture and shutter speed to suit your needs. Or keep it in fully automatic mode. They can offer the same flexibility to manually control the camera, and produce the same high quality images as a DSLR, but without the bulk. You can change out the lenses on a mirrorless camera, so the cost is a bit higher to own one than a digital camera. But you do get the benefit of being able to adjust the camera to suit your needs. If you’re looking for a camera with zoom capability, this is NOT the camera for you. We are huge fans of the Sony Alpha a6000 mirrorless camera. We have one ourselves and have been using it without issue or complaint for about 2 years now. We have a couple of really great lenses that cover all the shooting situations we find ourselves in while traveling. It’s light and compact, so it’s easy to take along on trips, even when we pack really light. You can streamline by only packing the 16-50mm lens that’s great in all situations. We do very much love the 50mm and 35mm lens for shooting food photos. The camera is very good in low-light situations. It has the capability to take photos with a crisp picture and lovely bokeh. The camera has a 3-inch tilting LCD, plus a viewfinder. It has full HD 1080p video, and you can begin recording a video with just a touch of a button. The camera has wifi and you can use Sony’s app to connect it with a smartphone for transferring. If you like to set up your camera to your own specifications, you’ll love that the Sony has a configurable user interface, with several customizable buttons and two control dials. You can change around the buttons and functionality to your own desires. It also has a continuous shot mode and tracking capability to help you follow the action. Face recognition is also a fun feature. For most travelers who are not professional photographers, carrying around a heavy DSLR is not ideal. Carrying a DSLR camera involves a whole separate bag to keep it safe, and store the extra equipment, like lens. However, DSLR cameras take the best photos and provide the most flexibility of any camera you can buy. If you don’t mind the extra gear, you can find a budget DSLR to start with that won’t break the bank if you happen to drop it or lose it while traveling. There are many lens and other accessories for a DSLR camera. You’ll want to check out all the options and decide if the cost of lens is worth it. There are many available DSLR cameras on the market. Check Amazon’s bestseller list for all the options. Below is the one we would choose to buy, above all others. Note: You may also need to find the best laptop for traveling photographers if you want to be editing photos on the go. 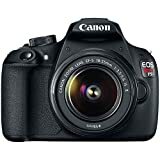 The Canon Rebel has long been considered one of the best budget DSLR cameras on the market, especially the T5 and the T3. While there are much more advanced models, these two are considered budget or beginner models. Unless you’re a porfessional photographer though, you won’t be disappointed with the number of features packed into this model. It has more than enough capability for general use. It has a great sensor for low-light situations and a good, speedy processor. It comes with the 18-55mm universal lens. You can add additional lens for specific situations. The best part about this camera is that it’s easy to learn on, so if you don’t know a lot about the manual settings of a DSLR camera, you can use this one to learn. It’s not so expensive that it’s prohibitive for new users. Canon Rebel T5i has slightly more capability and speed, plus more features – including better video resolution and filming ability. If you can spend the extra money, I’m sure you’ll be happier with the T5i. If you’re seriously in the market for a new camera, you really can’t go wrong with any of the choices we’ve described above. They are all top-of-the-line, best budget cameras for travelling. 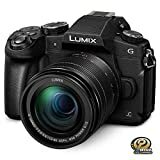 Already have a great camera that you really like? Tell us which one in the comments. We’d love to hear what everyone’s using. Like this post? You can save it to Pinterest by hovering over these images. Looking for the best budget camera for travel? Here are our favorites in each category. Our Favorite Budget Cameras for Travel – find the one that’s right for you. 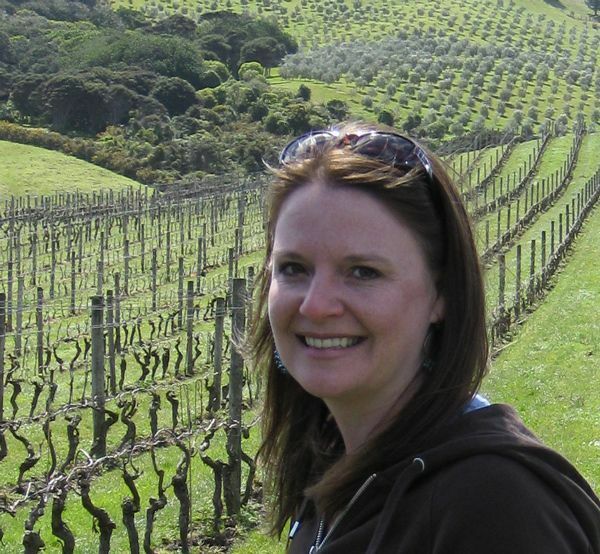 Laura Lynch, creator and writer of Savored Journeys, is an avid world traveler, certified wine expert, and international food specialist. She has written about travel and food for over 20 years and has visited 70+ countries. This entry was posted in Reviews. Bookmark the permalink. Amen on that branding point Laura. We went with a Canon and are happy with it. OK we received a Canon as a Christmas gift but are happy with it LOL. Go big brand, then find a bargain. This is a mid to lower level cam but with inspired 1080 p videos and a whole slew of functions I learn a bit about daily. Ryan, I’m constantly learning new things about the Sony A6000, which I’ve had for over a year now. It’s got great capability. Hi there! We are Nick & Laura, U.S. expats living in London. We are certified wine experts and food specialists who have been to 65+ countries. We want to help you find the perfect food vacation.